10 AM & 11 AM weekly. On February 11-15th, KUMANON will visit the state of Colorado. During his visit, with a focus on promoting grassroots-level economic exchange, KUMAMON will attend events in Denver that aim to strengthen relations between Japan and Colorado. 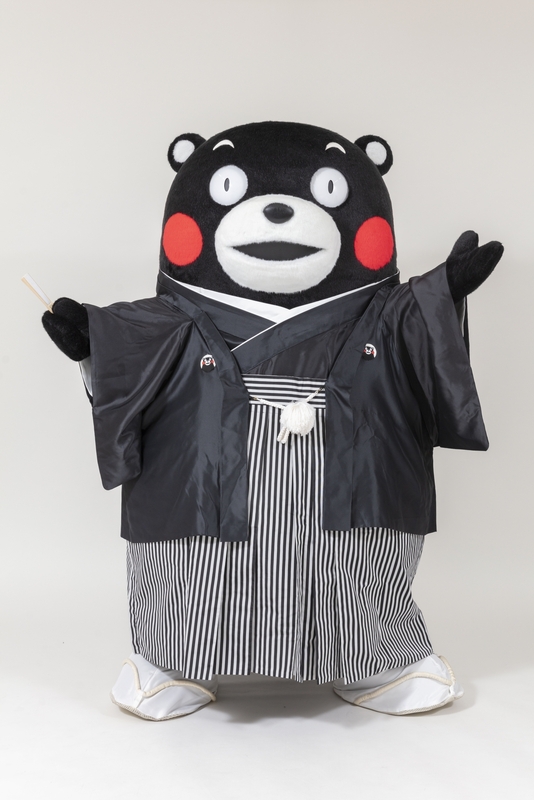 KUMAMON is also scheduled to visit the cities of Colorado Springs and Lafayette to promote exchanges toward the Tokyo 2020 Olympic and Paralympic Games and 2019 Rugby World Cup. Through KUMAMON’s visit to Colorado, we hope to promote exchanges across a wide range of fields such as further facilitating economic exchange, increasing in the number of tourists between Japan and Colorado, broadening the base for promoting awareness and understanding about Japan among a wider audience, and further developing sister city and human exchanges. BK Taiko is supporting the professional Taiko group TAIKOPROJECT on their New Mexico tour! We are also hosting two workshops with them! Co-sponsored by Los Alamos History Museum, Los Alamos/Japan Project, and Los Alamos County Library System. Funded in part by a grant from the New Mexico Intervention Fund of the National Trust for Historic Preservation, and the Oregon Arts Commission. The Embassy of Japan is proud to present a fabulous lineup through the Japan Information & Culture Center (JICC) during the 2017 National Cherry Blossom Festival. The Festival, which commemorates the gift of 3,000 cherry trees to the city of Washington, DC, is an annual celebration to honor the lasting friendship between Japan and the United States. In 1912, the Mayor of Tokyo, Yukio Ozaki, gifted 3,000 cherry trees to Washington, DC as a symbol of the friendship between the two nations. Ms. Eliza Scidmore, the author of a travel journal who was deeply impressed by the beauty of the cherry blossoms at Mukoujima in Tokyo, had campaigned for years to have them brought to DC. Along with Dr. Joukichi Takamine, famous for his work on adrenaline and the enzyme taka-diastase and a long-time friend of America, she urged First Lady Helen Taft to have the trees planted along the Potomac. Now every year the public parks along the banks of the Potomac River in Washington are covered in gorgeous blooming trees, delighting the public who come to see them. The first festival commemorating the gift from Japan and the friendship it represented was held in 1927. Now it has grown into the largest such celebration in America, welcoming more than 1.5 million visitors each year. The Opening Ceremony in particular, with its captivating performances from artists representing both Japan and the US, enjoys a high degree of popularity both locally and abroad in Japan. The National Cherry Blossom Festival Parade and the Sakura Matsuri – Japanese Street Festival also draw packed crowds. Kodo is probably the most known of the Japanese international touring taiko groups. They train on Sado Island and promote traditional arts, agriculture, crafts, and music. Though steeped in traditional foundations, Kodo also explores new musics and often commissions contemporary composers for new pieces. They also explore contemporary staging, set design and costumes. Kodo will be at the Lensic this coming spring. Don't miss this once-in-a-lifetime event! Tickets can be purchased athttp://tickets.ticketssantafe.org/single/EventDetail.aspx?p=3642 . Come join the JIN for out 13th Annual Santa Fe Japanese Cultural Festival! Watch performances and demonstrations, eat traditional food, and browse booths with traditional arts and crafts. Admission is $5 per person. You can find more information at the Japan Festival 2017 page. offical vist to Albuquerque with a Delegation. Japan Foundation present the Tsugaru Shamisen Duo co-sponsored by The Consulate General of Japan at Denver and NM Japanese American Citizen League. NMJACL Aki Matsuri , Sept.
Ikebana, the Japanese art of flower arrangement, is a disciplined art form in which nature and humanity are brought together. National Museum of Nuclear Science & History will celebrate the cultural traditions, ancestry, and native languages represented among the ethnic groups of Asia and the Pacific Islands. Activities will include martial arts demonstrations, Thai Dancers, East Asian Performance, Taiko Drummers, Food Samples & Demo, and many more. , demonstrations and activities to celebrate the coming of spring flowers and cherry blossom season, April 10. Honorary Consul General Begay’s presentation will try to answer why the American-born Japanese American men and women endured cruel inequities and racism, particularly during WWII and how they came through with honor. Minister T. Nikai and Governor Richardson sign an agreement to cooperate in reseach and development. Group of Japanese companies including Hitach and Toshiba Corporation with the State of New Mexico and Government of Japan agreed on to help to build smart grid in the southwestern part of New Mexico. Smart grid use digital technology to monitor and efficiently control the flow of electricity from supplier to consumers. Yukio Nishimura from the University of Tokyo’s Graduate School of Urban Engineering, delivers the Pearl Fellow Lecture on Friday, Oct. 30 at 5:15 p.m. in the Pearl Hall auditorium. Nishimura’s lecture is Japan’s World Heritage Wooden Structures: Preservation and Authenticity. Pearl Hall, home of the UNM School of Architecture and Planning, is located on Cornell and Central NE.